The time has come once again. This will be the 7th Annual Ohio Dodgeball Cup Championship. For some teams, this championship means quite a bit. In the past three years we have seen the Ohio region grow from four teams all the way up to where we sit today at nine teams! There has been much growth along with much decline in the different programs throughout Ohio. 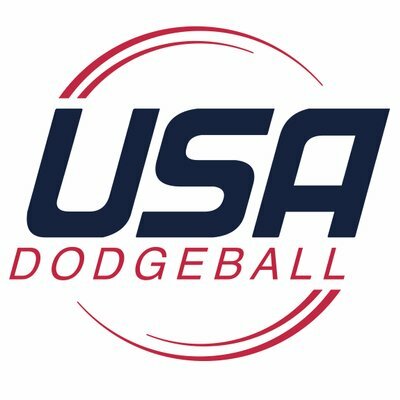 Although maybe not as talked about as the all-important Michigan Dodgeball Cup, this tournament has seen some amazing game play and unpredictable results in the past two years. This section will be where I as an Ohio player stick up for the Ohio teams as a whole. Although the Michigan teams and others who have had long term success in the league, i.e: James Madison and University of Kentucky, do not sleep on these Ohio teams. SVSU learned this last year in the second round of nationals when they fell to THE Ohio State University. A few of these teams could potentially pull an upset at Nationals 2017. Do not make the mistake of thinking you have a free ride out of the first round this year. For the first time the ODC will be played at a neutral location in Newark, Ohio at the local YMCA. This was all made possible by Adam Hynes, current player and student for Ohio University. What does this mean? NO HOME COURT ADVANTAGE FOR ANYONE. Although OU still has some advantage knowing what courts to expect, no one team has played on these courts and will have that luxury a home team gets when competing. Also new this year for ODC is the trophy. The pictures look great and every team is hungry to be the first and take that thing home with them. Let’s get real now. The Ohio teams all love each other, for the most part at least. But it is not all pictures and smiles. On the court these teams do not pull their punches. Every person wants to win and have the bragging rights for the next year in Ohio. Taking home the cup will also be a huge inspiration going into nationals in April. Time to stir the pot. Kent State will come into the tournament as a favorite to defend their Co-ODC Championship from last year. This year Kent seems to have found their skills and become a solid team to make a run at the Final Four this year. Unfortunately this team as good as they are, seem to have some major flaws. They have in some way peaked at the height of their talent and at the wrong time. They can continue to win against the same teams but every time they seem to face a tough opponent they should be able to compete with, they fall short. I know this has not been true throughout the season but at some point you have to look at yourselves and realize yes; we are a great team, but if we continue to play sloppy in big games all this talent means nothing. Yes, they have faced some losses in their team but so does every team in the NCDA. My advice, no game is a guaranteed win for Kent State. Go into every single game like its day two at nationals and put your foot on the gas. In addition Kent State may have the hardest throwing team in the league that I have seen, catches have been their biggest weakness. Both getting caught and not getting enough catches in games. In their match against CMU I watched Zach Bachner get five catches in a row to help get them the win. I think Kent State will go 3-0 but I would not be surprised if they went to overtime in one of their games. Unlike Kent this team did not start the season out as well. They had a tough first semester and seemed to split their wins at most tournaments. Now recently something has happened to BG. They, for whatever reason, have decided they want to win. Not that they didn’t want to win before but they didn’t want to win and bad as they seem to now. I would say because of their recent success BG is also a high favorite to win the ODC this year. They also surprised everyone by winning the cup in the 2014-2015 season. Bowling Green has a few issues that have begun to come about. Although they have always been known as a catching team they need to throw more. I believe they can win a bunch of games relying on their catching they will not beat the top teams in the league unless they start throwing more. What do I mean by this, TYRELL SMITH!!! 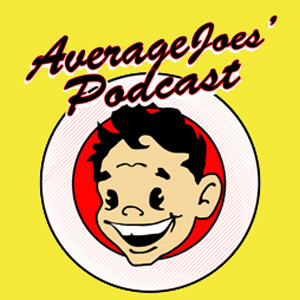 “That guy has a cannon,” Colin O’Brien, Average Joes’ podcast. Everyone in the league knows what he can do. It’s your last season Tyrell, drop the cement blocks and go take some people out of the game. He is not the only thrower from BG that needs to do this. Also there has been some game play from BG that not everyone has agreed with. I won’t get into too much detail with this but just remember BG you won’t have a soft ref at nationals. My advice, change your game just a little bit to become more well-rounded. BG MAY go 3-0 but they will have a tough few matches that will make their road to the cup a bit more challenging than Kent. What can we say about OU? This team is in their second season and improved so much from their 0-20 something first season in the league. This is a testament to their leadership and the ability as a team to keep going. They have taken many teams into OT and had some very close matches thought the season. They have improved as a team and become a well-rounded team. In just a year and a half I have played this team seven times and some of these guys were a huge laugh on the court their first year. A few I didn’t expect to stick about after the beating they took. Little did I know these guys and girls would improve as much as a team and as individual players. But, this team still has their days. They look like scared first year players who have never pinched a dodgeball. When is OU going to stop making the little mistakes? As much as I want to believe this team can make a jump and become a contending team they continue to prove me wrong. They have Adam Hynes who can throw just as hard as Tyrell from BG but I can tell you that after playing him three times I have never been hit by this throw. Let it go! You’ll watch OU play seven minutes of good dodgeball and have a 12-3 man advantage only to stop playing as a team and give the points away. 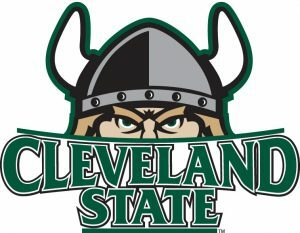 Their first match of the season was against Kent State and they had the win. They controlled probably 40 minutes of the match and had Kent on their heels. They let the victory slip away just like they have against many other teams this year. This team is still young so they will improve in future years. Ohio did not help themselves out in this tournament at all playing both Kent and BG. I think they will go 1-2 but don’t be surprised if they take a team to OT and pull an upset. This team is right there with two other in the fact that I haven’t played or been able to watch them play all year. That being said, they may get a little less criticism than most other teams. OSU was probably the favorite to win the ODC the past two years but was not able to attend either year. 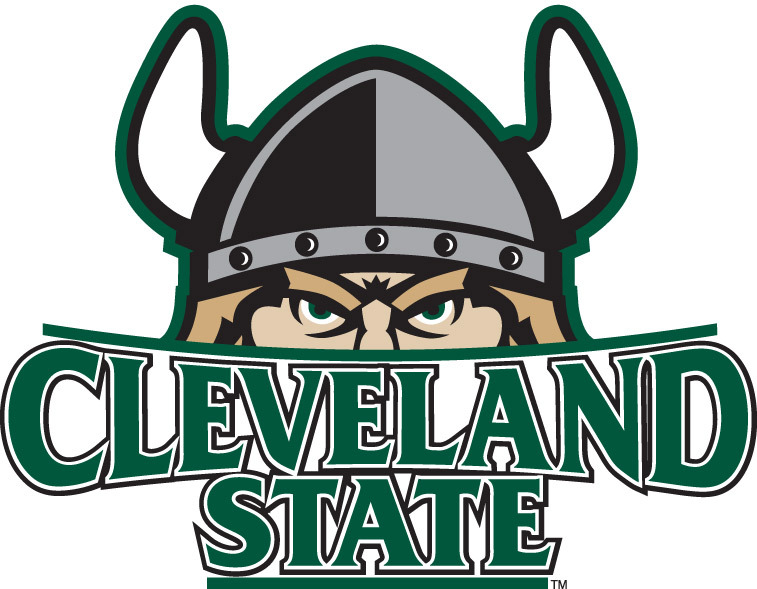 At the end of last year they were also the best Ohio team and made it to the Final Four where they fell to GVSU. This year they are able to compete and have probably the second hardest schedule on the day. OSU along with Akron has had the hardest fall of the Ohio teams this season. They have lost many matches in which they were the favorite. What has happened to this team? I’ve heard a number of reasons why this team has had its struggles. Lost quite a few seniors, it’s a rebuilding year etc. This team still has two of the top players in the nation. The two players who were drafted 2nd and 3rd overall in the all-star game. Not to mention they have arguable the best dodgeball mind in the league on their sideline as a coach. Now yes this team has new players but with all their skills I expected more from them this season. Starr, get your team together and bring them back to the glory of last season. This prediction is a hard one. This team could go 3-0 but they could also just as easily go 0-3 if the rest of the teams show up to play. I am on the team yes, but I can see just as much as everyone that we have taken a step back this season. Akron along with Kent are the Co-ODC Champions from a year ago. Akron has had many, many, changes to their roster. From last year they had 29 players on their team and took 14 to nationals. Today only 9 of those players are still with the team. This is no excuse for their game play on the court this season. Although all of their game this season have been close outside of one, the team cannot put together a full 50 minutes of dodgeball. I have said this multiple times. They have the same problem as OU. They have a great core team that is now in their third season together but for some reason they cannot finish games. Their largest weakness is catching by far! The argument could be made they are they second best throwing team in Ohio behind Kent but they are also arguably the worst catching team. Now compared to last year when they were basically a zero catches per game team they have improved quite a bit. Games like VCU and WKU at nationals last years showed just how much being able to make clutch catches can change the game so quickly. This team needs to wake up and quit using the excuse of the game was close. The difference between and good and bad team is being able to close out wins in those close matches. Wins and losses will happen for every team but at some point you have to stop letting all those matches get away from you. Their keys to victory is to stay calm and work as a team. When the frustration starts they crumble. Akron is another wild card and yes I’m rooting for my team. They could go 1-2, 2-1 or 3-0 if they play smart. This team is back after I believe two years out of the league. With any new team comes the growing pains. There are some very nice positives that they can take away from the season so far. Kyle Shaw has shown himself to be a very well rounded player and a great leader on and off the court. They also have a few true athletes. Guys who can walk into any sport and be competitive. They thing they lack in is experience. With those great athletic guys on their team they don’t have a great system in place to support them just yet. Kyle get some blockers in there and protect your guys from getting beat up in these matches. Although this team is winless, they have a very nice schedule for the ODC. They could go 3-1 this weekend if they play smart. These guys are the real deal. I love this team, and they like Akron had such high hopes for this season after emerging at the end of last year and becoming a talked about team in the league. They have probably had the hardest year of any team in terms of loss. They almost lost their entire team and some were unsure if they would return. They mad it though and played very well at Ohio this past weekend. I didn’t have a chance to watch them play but I know a few of the guy on this team and they can stay alive for 20 minutes if they need to. Do not sleep on this team. My biggest issue for them is the New jerseys. You guys were voted top five and managed to get new ones already. Focus on the game play and get back in the conversation. This team was also given a pretty nice schedule and could possibly go 3-0 if they can beat OU. I see them going 2-1 though. Although this team is brand new, they have some nice weapons who played for other teams in the past. Matt Klembara is a former Kent State player who was with them in the glory days. I have heard this guy can throw. Also, Alan Wardeiner, or Fearless, a former Akron player is without a doubt one of the best blockers in the league. If they can come together and get their team ready they have a schedule that could let them go 3-0. I think they will more than likely go 2-1 but Miami could best them in a close game. I do not know much about this team at all. I do know their captain Tom Farish seems eager to get his team on the court to play some dodgeball. This is your chance playing two new teams to get a win. I think predictions here are not needed but I just hope the team comes in, has fun, and takes some skills back to their school to improve for next time. Bottom line of this year, do not think any team has the trophy case clean and ready to put it on display. For those not playing this will be an exciting day of dodgeball that could come down to a four team overtime bracket one point take all to crown a champion this year. That’s right no co-champions this year. I think Kent, BGSU, OSU, OU and Akron can all go out and with this year if they play well. No team is undefeated and all these teams seem to play better against other Ohio teams. For the players on the court, play some dodgeball. Don’t walk on the court and think you will win these matches easily. Walk out there and play the best you can play. Do not get caught sleeping. I am ready to play some more dodgeball and see what the Ohio teams bring this year.